From travel snaps to drone footage, this bundle has it all. Want access to more than 80,000 stock images? 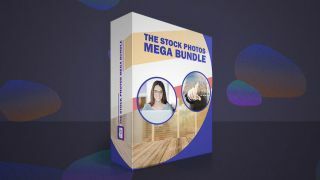 That's exactly what you'll get with The Stock Photo Mega Bundle. For only $29.99, you can use any of these photos, completely royalty free. The photos cover a wide range of themes, from travel to even drone footage, and they come in both JPEG and PNG format to give you flexibility. Feel free to use them in almost any medium you wish, and bring your webpages, newsletters, and advertisements to life. Best of all, you'll get all these photos for the low price of only $29.99. That's 94 per cent off the regular price!